Increasing leptin sensitivity may be very important if you are trying to lose weight as obese or overweight people tend to suffer from leptin resistance (insufficient response of body cells to leptin), which results in high leptin levels in blood and poor utilization of this hormone by the body. This article features an evidence based look at 23 foods that may help you deal with leptin resistance. The name of the satiety hormone leptin originates from the Greek word leptos meaning thin. Leptin hormone is made up of adipose cells and its function is to control energy levels by inhibiting hunger (1). The "hunger hormone" or ghrelin opposes actions of leptin. Both of these hunger hormones exert their effect on hypothalamus through receptors in arcuate nucleus to regulate hunger to attain energy homeostasis (2). During obesity, sensitivity to leptin is decreased, as a result satiety is not detected in spite of presence of high energy stores (3). Even though regulation of energy levels is deemed to be the principal function of leptin, it also has a role in other physiological processes, because it is produced at multiple sites other than fat cells, and other cells types besides hypothalamic cells (1). Leptin is a complicated hormone that aids in controlling food intake and body mass. A portion of your brain controls leptin concentration in juxtaposition to your body fat weight (4). As leptin curbs appetite, it may seem advantageous to elevate your level. However, things are more complex than that. Low leptin levels in blood are in fact allied with a healthy body weight. The more leptin you have in blood, the more important the leptin resistance tends to be. 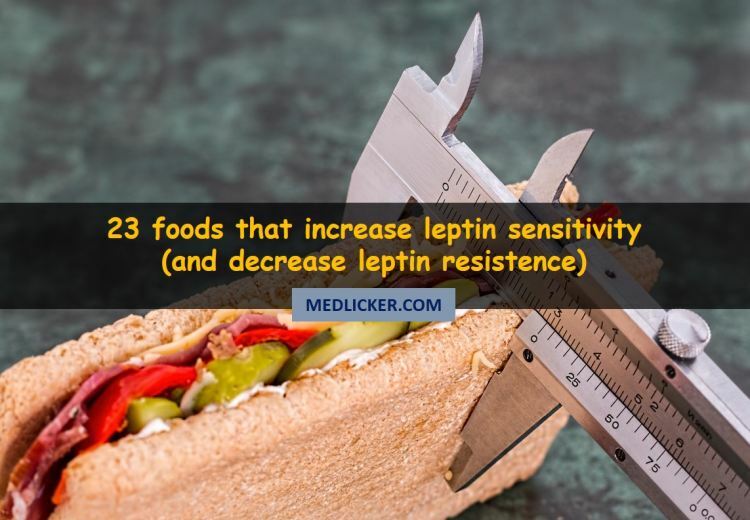 So the target is not to increase leptin in your blood but to consume foods that perk up leptin sensitivity so that your body reacts better to its signal. This hormone transmits information to your brain that you have adequate energy stored in your adipose or fat cells required to carry out daily activities and metabolic processes. Therefore when leptin levels reach a particular threshold - for every individual, the threshold is probably genetically predetermined - when your leptin level crosses that threshold, your brain knows that you have ample energy stores, which means you can consume energy at a regular pace, eat normal amount of food and engage in physical activities. But when you are on a diet, your food intake is decreased and your fat cells lose some fat, which then lowers the amount of leptin hormone being produced. Let us suppose you starve, let's say your energy intake has decreased and you have lost weight. Your leptin hormone level sinks below your personal leptin threshold. When this happens,your brain senses starvation. This scenario can take place at any leptin level, depending on what your leptin threshold is. Then multiple processes commence inside your body to raise leptin levels back up. One such process includes stimulation of the vagus nerve, which has a course between abdomen and brain. The vagus nerve is also known as energy storage nerve. When the vagus nerve is activated, you get hungrier. Each action of the vagus nerve is fashioned to make you ingest extra food and energy and store it up in your fat cells. It increases hunger and makes you eat so that you can get your leptin back to where it belongs and reestablish a leptin threshold. Scientists have as of yet not gained full knowledge regarding mechanisms by which this hormone regulates energy levels, but they do know that leptin curbs effects of an appetite-enhancing hormone known as neuropetide Y (5, 6, 7). Leptin also speeds up metabolism to help regulate body mass and weight. This hormone is secreted from adipose cells, and its levels are associated with body fat percentage. When body fat levels decrease, leptin levels also decrease correspondingly and appetite is stimulated; when body fat levels rise, the opposite process occurs. In this way it helps your body maintain healthy weight. Insulin is a hormone that functions to regulate blood sugar levels. It teams up with leptin to metabolism and food intake, according to an article that appeared in the Endocrinology journal (8). Whenever you eat a carbohydrate-rich meal, your blood sugar increases and signals your pancreas to release insulin. The presence of insulin in the bloodstream fires up neuronal pathways in the brain that indicate your body to lower food intake. According to the writers of this article, leptin and insulin have a conjoined effect where suppressing appetite is concerned, and these two hormones act together in the brain to diminish food intake. 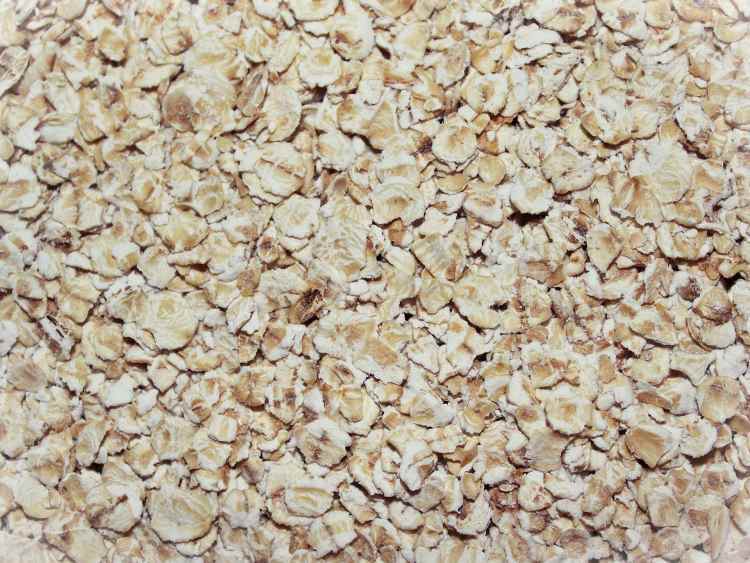 Eating unprocessed oatmeal is one of the best ways to boost your metabolism and decrease leptin resistance (9). Oatmeal is a low glycemic carb and it decreases insulin levels and is rich in fibre (10). A brilliant breakfast food, oatmeal also lowers cholesterol and reduces the danger of heart disease, which is a serious problem for overweight or obese people. This wonder food has abundant amount of fat soluble fiber, which needs a lot of calories to metabolize. Pick out wholegrain, rolled oatmeal that is unsweetened and free of any additives. Prepare the oatmeal with milk, to supplement calcium, itself acting as a good metabolic stimulator. The complex carbohydrates help lower insulin levels, which decrease the amount of fat that your body has. You can make your oatmeal taste even better by adding a dash of cinnamon that will help stabilize blood sugar levels and even satisfy your appetite. Experiments have shown that eating grapefruit can lower insulin levels (11). Reduced insulin levels after meals can facilitate your body process food more rapidly and effectively. This results in burning of more calories and storage of more fat. Adding some spice to your food can help decrease leptin resistance and boost metabolism. Hot peppers such as jalapenos, contain a chemical called capsaicin, which gives these peppers their spice and heat and cause a rise in your metabolism (12). This chemical also keeps calories burning long after you have finished your meal. The protein present in turkey, chicken and other lean meats takes a great deal of energy to metabolize. Hence, your body breaks down a lot of calories during the digestive process. Protein is also a key ingredient in building lean muscle mass, which uses up more calories than fat (13). 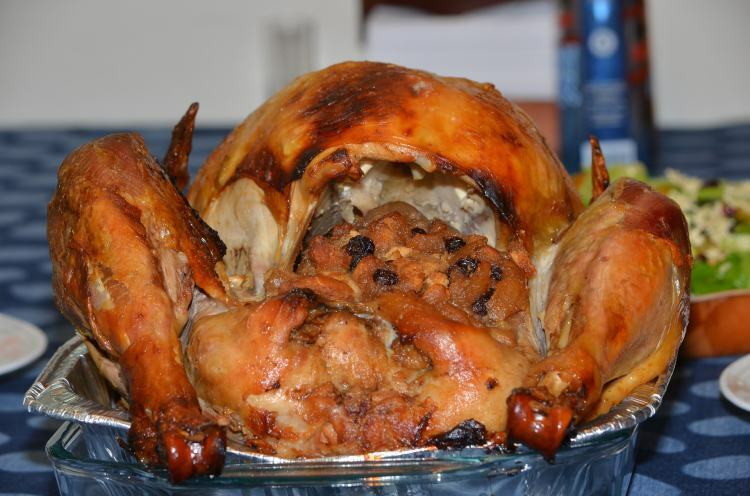 Turkey and chicken have high protein content, which helps trigger up the metabolism. Choose a lean cut that can be baked or grilled and discard the skin. Combine a grilled chicken breast with a side salad and some couscous for a calorie shredding well balanced lunch. Resistance to leptin hormone results in slower metabolisms and increase in weight. A good way to reduce leptin resistance is to increase use of fish in diet (14). The oil present in fish like tuna and salmon has been shown to boost leptin sensitivity levels and help your body metabolize foods more effectively and regulate energy levels. Medical experts say that fish is one of the ideal sources of protein and experiments have proven that fish is more filling than beef or chicken. Another reason why fish is usually preferred is because it contains health-enhancing, omega-3 fatty acids, known to combat heart disease and other chronic disorders (15, 16). Studies have shown that tuna can be efficient in reducing the hormone leptin levels (17, 18). Grilled tuna steak is an excellent choice for barbeques or a comfortable low fat meal, or for a more inexpensive option prepare a tuna sandwich using whole grain bread. As it lowers the amount of leptin in your body it in turn fires up your metabolism. This causes your body to burn fat rapidly and more effectively. The protein in tuna also helps in the development of muscle which helps you burn even more calories and fat. Salmon is one of the best fat burning foods because it is highly rich in Omega 3 which helps bring down your leptin levels which in turn helps your body burn calories quickly. Sardines are abundant in fish oil which is widely regarded as a great fat burner. Some body builders have a complete sardine diet because they are rich in protein and fish oil and this combination helps burns fat and makes them stay ripped. Low-fat yogurt is among the best foods to eat if you are attempting to lose weight and speed up your metabolism. Yogurt has high content of calcium and protein (19). It provides you the energy your body requires to keep active all day and helps you develop lean muscle mass. Yogurt also helps in regulating digestion. The caffeine present in green tea speeds up your heart rate and accelerates your metabolism. Green tea also contains a chemical substance called EGCG, which stimulates the nervous system and burns calories at a quicker rate. A study in mice showed that green tea decreases leptin resistance (20). 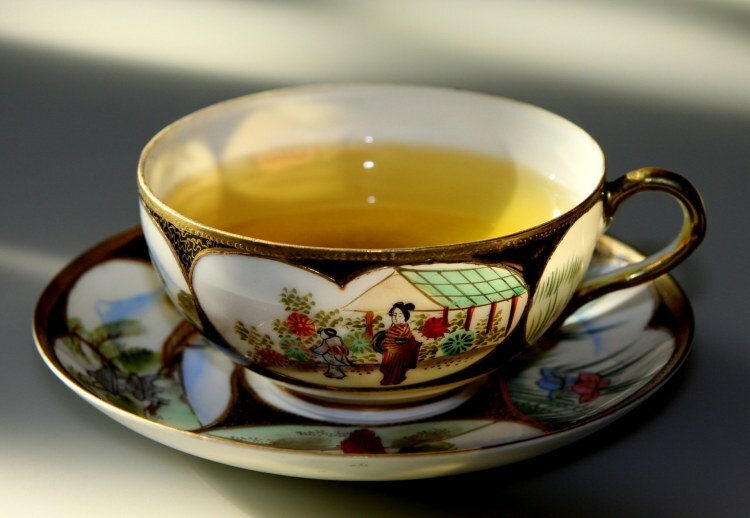 Unlike coffee, which has very high caffeine content, green tea does not cause insulin to spike. This veggie is rich in both vitamin C and calcium and decreases leptin resistance. These two nutrients work in conjunction to help you burn calories rapidly and more efficiently (21). Calcium stimulates your metabolism, while vitamin C facilitates body in calcium uptake. Consuming a small amount of nuts everyday can help in increasing your leptin sensitivity (22, 23). Zinc, protein, essential fats and dietary fibers found in nuts are vital for stimulating leptin production and increasing your satiety. Almonds might be high in calories, but they are also full of essential fatty acids which are great metabolism stimulators. Eggs are jam packed with protein which human body has to work hard to digest and which also boosts your metabolism (24). 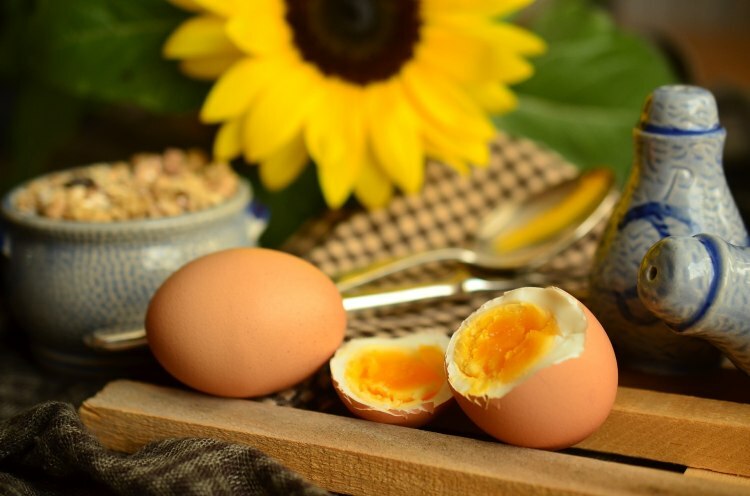 Vitamin B12 in eggs is also known to aid in the breakdown of fat cells (25). Eggs should be consumed in a moderate amount though. Do not over do their use. Water-based fruit are effective in boosting metabolism. Give watermelon, berries, grapefruit, grapes, apples or pears a shot as a snack. Besides being a source of vitamins and minerals, fruits are full of water and are low in calories and they increase satiety and curb hunger, which is ideal for your weight loss goals (26). Raw vegetables are also helpful in this regard. They are low in calories and fun to munch on. Partner a dish of radishes, carrot, lettuce or raw zucchini with your favorite low calorie dip for an odd hour snack. Calcium present in milk can aid in cranking up your metabolism and individuals with a high calcium intake are known to lose weight faster than those who skimp on it. The carbohydrates in milk also regulate your insulin levels at a low level thus checking your body from storing fat (27). Beans have high protein content which helps your body build up muscle (28). Muscle cells burn calories at a much faster rate than adipose cells so even a trivial increase can really help you burn away the fat. It is said that fiber in beans is also a useful aid in preventing your body from storing fat. Try Lima, kidney, navy, and white beans but don’t use baked or refried beans. Consumption of whole grain cereals is an excellent way to increase leptin and they are great sources of fiber but the real profit comes from the complex carbohydrates. Complex carbohydrates don't cause your insulin levels to rise (29). 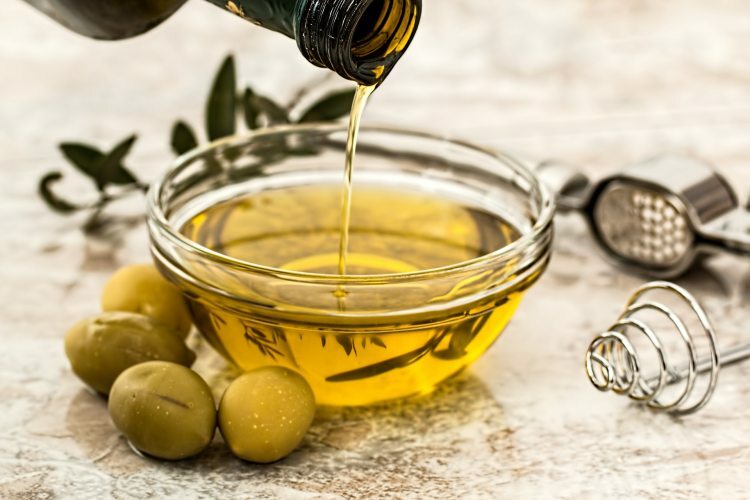 Olive oil not only destroys fat but it also keeps your cholesterol level low (30). Many people use it instead of their regular cooking oil making it a very simple way to make a positive modification to their diets. Pork uses up a lot of energy from your body during its digestion and if it is lean, it is certainly a great fat burner and is helpful in fighting leptin resistance and in decreasing leptin levels in blood (31). Lean beef helps in burning fat as it has protein which requires your body to work hard to break down (32, 33). Lean beef also helps you bulk up muscles and the more muscle bulk you have, the more calories your body can burn. 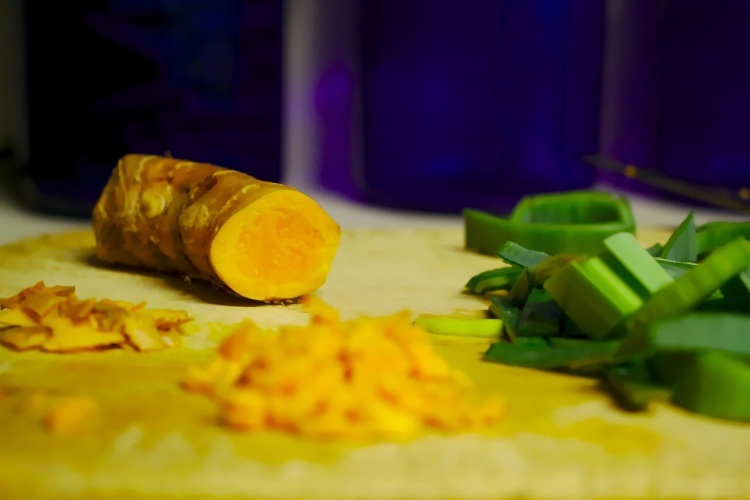 Turmeric is a yellow root prized for its therapeutic properties. Its active element, curcumin, has been known as a natural remedy for everything from allergies to arthritis, and now studies suggest we might soon be able to include yet another item to the already extensive list of health benefits accredited to curcumin: enhanced leptin sensitivity (34). In one research, curcumin was proven to improve leptin sensitivity as well as insulin sensitivity in rats that were fed in fructose (35). In another article, published in the Swedish Journal of Preventive Medicine, similar effects were seen in rats that had been given high-fat diets (36). Purple sweet potatoes are not the only source of anthocyanins, there are also many other blue, purple and blackish foods that contain considerable amounts of anthocyanins, berries being one of the most well-known sources of these leptin sensitivity boosting flavonoids. However, when it comes to plant based foods that pack a real anthocyanin punch, one berry plainly stands out. According to a research article published in the Chinese Journal of Agricultural Research, the maqui berry, which is grown in southern part of America and distributed as super food powder in the United States, has several times more anthocyanins than other anthocyanin-rich berries such as saskatoons, elderberries, blueberries or wild blackberries (37). Apples are one of the best known whole food sources of pectin, and there is some research-based evidence that pectin might help battle leptin resistance (38). Also Dr. Leonard Galland’s much-acclaimed book, The Fat Resistance Diet: Unlock the Secret of the Hormone Leptin, enlists apples as one of the best 30 super foods that can help re-establish your body's sensitivity to leptin. To gain the most benefits, opt for sour apples or crabapples - which are said to be chiefly rich in pectin. Sweet potatoes are available many different colors. Those having a purple skin get their color from anthocyanins, flavonoid pigments that are the subject of several scientific studies. In one such research, published in the magazine Food Science and Biotechnology, Chilean researchers gave a group of rats purple sweet potato anthocyanins. The researchers observed that the rats that were given the anthocyanins lost weight faster than the rats in the control group, and further experimentation showed that the observed effects were associated to the capability of the sweet potato anthocyanins to alter the effects of leptin in the brain and to decrease oxidative stress (39). Spirulina is an algae blue-green in color that has been linked with numerous possible health benefits, such as reduced cholesterol levels, shield against allergies and anti-viral activity. Furthermore, there is at least one human research that postulates spirulina might also have weight loss benefits. While more studies are required to prove the weight loss advantages of spirulina, it is not difficult to imagine that this aquatic super food might turn out to be an effective natural weight loss remedy: according to research data, dried spirulina algae is an ideal dietary source of leucine, an amino acid that is known to perk up leptin sensitivity in rats in a research article published in the journal Food & Nutrition Research in 2013 (40, 41). To prop up leptin production, add one or two spoons of sesame seeds to your diet. 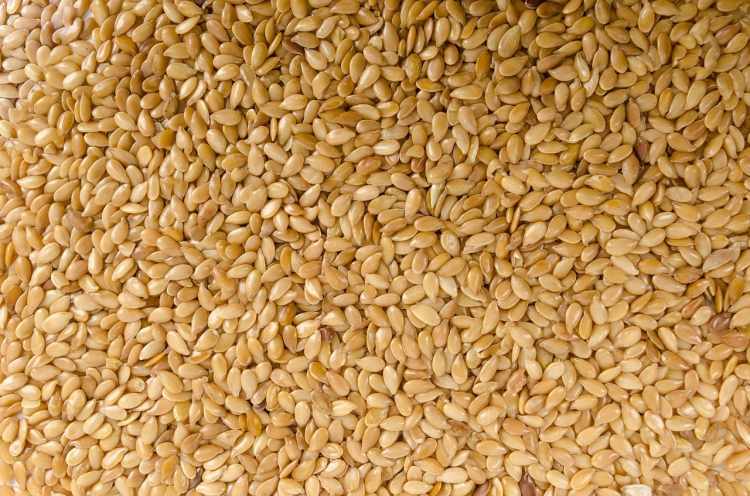 Sesame seed is an excellent source of zinc. It is also a source of omega-3 fatty acids and fibers. All these elements help in boosting leptin production. Besides this, the anti-oxidant activities of sesame seeds help in lowering leptin resistance (42, 43). Keep in mind that the ideal way to shed weight is to combine a healthy diet with daily exercise. But including these leptin friendly foods into a healthy diet will give your weight loss plan a boost and help overcome leptin resistance. Leptin is an important hormone, which regulates appetite and body weight. Leptin resistance is very common in obese and/or overweight people. It is usually manifested by increased leptin levels in blood. Leptin resistance can be dealt with in two ways - by increasing leptin sensitivity and/or increasing leptin production by the body. There are some foods, which may be helpful in increasing leptin sensitivity by boosting our metabolism. Some of them promote leptin production, while others just decrease leptin resistance by lowering the amount of leptin in blood. There is some scientific evidence that these foods really help to deal with leptin resistance but more research needs to be done to confirm the actual benefits and effects. While consumption of leptin sensitivity increasing foods, such as apples, broccoli, oatmeal, lean meet, turkey, sesame seeds, etc. will probably not cause any harm in your body you should know that only a licensed physician may help you deal with your health problems. Therefore always see your doctor if you want to lose weight or decrease leptin resistance and ask him/her for dietary advice and consent before eating any of the foods above in larger quantities.